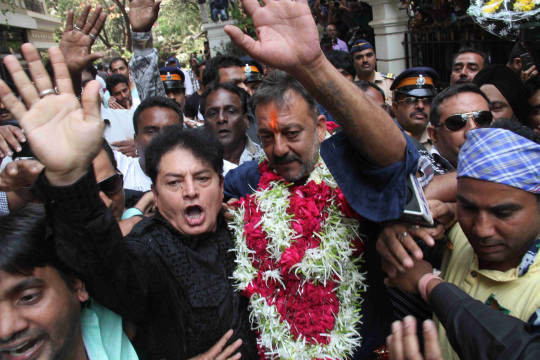 Sanjay Dutt who was serving a sentence in Pune’s Yerwada jail was released yesterday. People gathered outside the airport and his residence to welcome the Munna Bhai MBBS actor. He was released eight months earlier than his actual sentence and walked out a free man. The actor thus ended his 23 year long ordeal when he left the prison. On returning to Mumbai, Sanju baba first visited his mother’s grave and then the Siddhivinayak temple to seek blessings. He looked happy when he stepped out with his wife. He is slated to start with a number of projects and we’re sure people can’t wait to see him back on the silver screen. 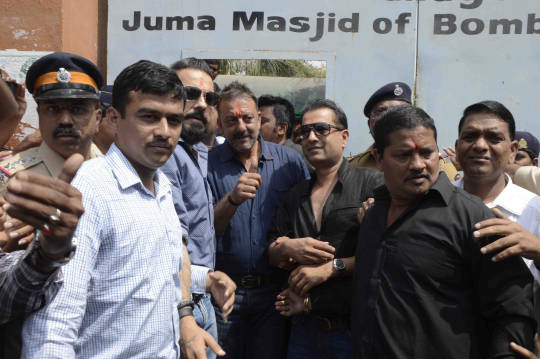 Sanjay Dutt along with wife Manyata arrives at Juma Masjid to visit his mother’s grave. 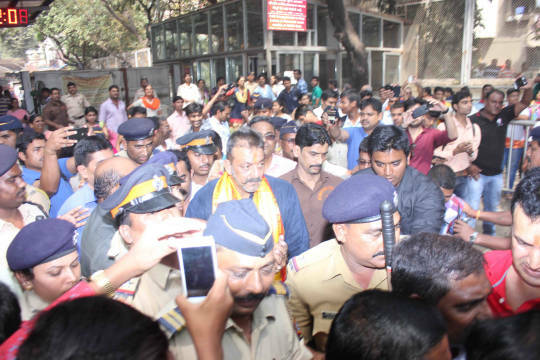 Sanjay Dutt at Siddhivinayak Temple. Sanjay Dutt reaches his residence. Sanjay and Manyata outside their residence. Why the regime of the Khans needs to end. Like now.